People who want to buy contact lenses in Beverly, MA certainly have plenty of options nearby, so it can be difficult to know where to turn. When it comes to selecting the best eye clinic, it is important to choose a company that has experience and strives for excellence. Parrelli Optical meets both of those requirements and more. To buy contact lenses, a prescription is required. The prescription is formed by completing an eye exam. 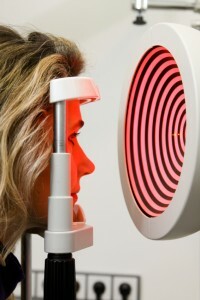 In addition to the regular exam, the professionals at Parrelli Optical perform a series of other tests. They carefully evaluate the retina and several of its features. Along with other tests, this helps doctors decide which types of contacts are best for a specific person. The optometrist also considers issues such as individual history and current lifestyle. Testing procedures are very extensive at Parrelli Optical, and the fitting process is no exception. Since our company’s goal is to make sure any person can find the right contacts, we work hard to provide proper fittings and optimal products for simple vision problems and complex conditions. The doctors at Parrelli Optical are carefully screened prior to being hired. Since the company has a long history and a good reputation, it is important to make sure the doctors performing eye exams will maintain the Parrelli name. In addition to the qualified optometrists employed by Parrelli Optical, there are several support staff members who have been thoroughly trained and carefully screened. To see for yourself why Parrelli Optical is a leading source for exams and contact lenses in and around Beverly, MA, call us or schedule an appointment online.